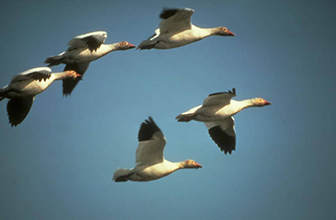 As fields and reservoirs are turning white with the arrival of roosting waterfowl during their traditional winter migration, plans are well underway for the annual celebration known as the High Plains Snow Goose Festival scheduled February 8-11. 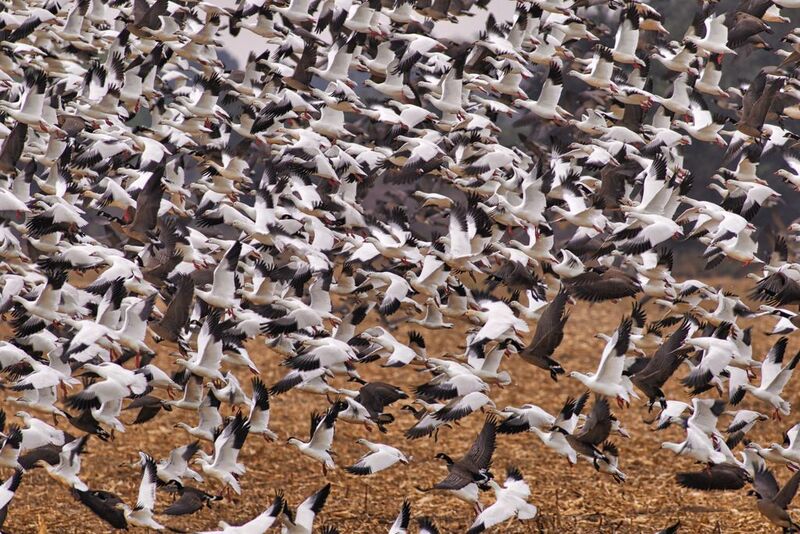 In its 16th year, the festival attracts families, bird watchers and a variety of outdoor enthusiasts to see the Arctic geese as they arrive at their winter roosts along the Western Central Flyway that includes Colorado, New Mexico and the Texas panhandle. Participants come to watch and listen to the sounds of flapping wings as tens of thousands of large white geese rise from John Martin Reservoir State Park and other regional lakes to fly to feeding grounds and back again to the water. The festival offers a variety of programs, field trips and seminars that celebrate birding, watchable wildlife and the heritage in Southeast Colorado. Tour Two Buttes Reservoir, John Martin Reservoir as well as Picture and Carrizo Canyons, south of Lamar. You can even take a breakfast with raptors tour. Highlights of the 2018 festival include workshops and speeches by authors Sharon Stiteler and Ted Floyd. Stiteler is an avid birder whose work has been published in the New York TImes and the Wall Street Journal as well as on NBC Nightly News, NPR's All Things Considered. She is known as "the Birdchick" and is the author of a popular birding blog "Birdchick.com." Stiteler and Floyd will lead nature hikes and give presentations on how technology is changing birding. Stiteler also will also be the keynote speaker at the Saturday night banquet. Floyd is the editor of Birding, the American Birding Association's flagship publication, and an instructor with the ABA's Institute for Field Ornithology program. He has published widely on birds and his credits include the ABA Field Guide to Birds of Colorado. Event registration is free, however field trips range from $10 to $50, depending on the length of the program and if meals are provided. Numerous programs are also offered at no charge. Get the latest news on the festival at its Facebook page: www.facebook.com/snowgoosefest. And for more details about the festival schedule, go to www.highplainssnowgoose.com. Snow Goose Festival. Courtesy Colorado Parks and Wildlife.